The Lahti International Organ Festival is an international event focusing on organ music arranged annually in Lahti, Finland. The first international organ festival in Lahti was held in 1973, then still in the wooden church that preceded the present Church of the Cross (Ristinkirkko). It was a continuation of a traditional series of summer concerts. In the first years, the programme focused solely on organ music and included concerts, seminars, panel discussions and exhibitions related to the theme. After the first summers, the programme expanded rapidly. Even though the organ is an extensive instrumental unit and it is encompassed by a wide range of structure, playing, composing and artistic interpretation, domestic and foreign choirs, orchestras, bands, instrumental and vocal soloists have joined the organ. The Lahti International Organ Festival has aimed at development and its programme has always included something unprecedented: in 1994, the silent movie The Hunchback of Notre Dame was shown at the Church of the Cross accompanied on organ by Guy Bovet from Switzerland. In 1995, a group from the Russian State Circus performed in a tent at the Market Square accompanied by Hannes Meyer. Between 1996 and 2000, there were concerts and dance performances in a 400-meter-long street tunnel close to downtown Lahti. A stage and restaurant seating 600 persons were built in the tunnel. 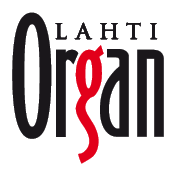 The Lahti International Organ Festival has also promoted creative and performing organ music by arranging several competitions: two composition competitions and five organ competitions. In 1980 there was a national organ competition, in 1984 a Nordic competition and in 1989, 1993 and 1997 an international organ competition. An international organ competition is held every four years. To promote organ music the festival has occasionally nominated a Young Artist of the Year. He or she is selected among the most famous young organists and is granted an own concert during the festival. Finnish contemporary music has also been performed at the festival and music for organ has been commissioned from Finnish composers. The best works of the two composing competitions have been performed at the festival. The Lahti International Organ Festival was admitted to Finland Festivals in 1978 together with the Savonlinna Opera Festival, the Kuhmo Chamber Music Festival and the Helsinki Festival. The international air of the festival is created first and foremost by the international artists, but the concerts are also spread to millions of listeners world-wide through the recordings of the Finnish Broadcasting Company (YLE). The festival’s main concert venue is the Church of the Cross in downtown Lahti. The Church was built in 1978 and was designed by Alvar Aalto and its 53-stop organ was built by the Finnish organ builder Veikko Virtanen. Concerts are also held in thesurroundings of Lahti. Since the organ of the Sibelius Hall of Lahti was built in 2007 one of the festivals main concerts is held at the Sibelius Hall.